At the age of fourteen, I entered St. Mary’s Minor Seminary in Thiruvalla to begin my studies for the priesthood. Four years later, I went to St. Joseph’s Pontifical Major Seminary in Alwaye, Kerala to continue my priestly formation. After completing the seven years of philosophy and theology, I was ordained a priest on January 1, 1975 to serve as a missionary in the Diocese of Thiruvalla. On Sunday April 14, 1985, the Feast of the Divine Mercy, I was going to celebrate Mass at a mission church in the north part of Kerala, and I had a fatal accident. I was riding a motorcycle when I was hit head-on by a jeep driven by a man who was intoxicated after a Hindu festival. I was rushed to a hospital about 35 miles away. On the way, my soul came out from my body and I experienced death. Immediately, I met my Guardian Angel. I saw my body and the people who were carrying me to the hospital. I heard them crying and praying for me. At this time my angel told me: “I am going to take you to Heaven, the Lord wants to meet you and talk with you.” He also said that, on the way, he wanted to show me hell and purgatory. First, the angel escorted me to hell. It was an awful sight! I saw Satan and the devils, an unquenchable fire of about 2,000 degrees Fahrenheit, worms crawling, people screaming and fighting, others being tortured by demons. The angel told me that all these sufferings were due to unrepented mortal sins. Then, I understood that there are seven degrees of suffering or levels according to the number and kinds of mortal sins committed in their earthly lives. The souls looked very ugly, cruel and horrific. It was a fearful experience. I saw people whom I knew, but I am not allowed to reveal their identities. The sins that convicted them were mainly abortion, homosexuality, euthanasia, hatefulness, unforgiveness and sacrilege. The angel told me that if they had repented, they would have avoided hell and gone instead to purgatory. I also understood that some people who repent from these sins might be purified on earth through their sufferings. This way they can avoid purgatory and go straight to heaven. I was surprised when I saw in hell even priests and Bishops, some of whom I never expected to see. Many of them were there because they had misled the people with false teaching and bad example. After the visit to hell, my Guardian Angel escorted me to purgatory. Here too, there are seven degrees of suffering and unquenchable fire. But it is far less intense than hell and there was neither quarreling nor fighting. The main suffering of these souls is their separation from God. Some of those who are in purgatory committed numerous mortal sins, but they were reconciled with God before their death. Even though these souls are suffering, they enjoy peace and the knowledge that one day they will see God face to face. I had a chance to communicate with the souls in purgatory. They asked me to pray for them and to tell the people to pray for them as well, so they can go to heaven quickly. When we pray for these souls, we will receive their gratitude through their prayers, and once they enter heaven, their prayers become even more meritorious. It is difficult for me to describe how beautiful my Guardian Angel is. He is radiant and bright. He is my constant companion and helps me in all my ministries, especially my healing ministry. I experience his presence everywhere I go and I am grateful for his protection in my daily life. Words can not express the beauty of heaven. There we find so much peace and happiness, which exceed a million times our imagination. Our Lord is far more beautiful than any image can convey. His face is radiant and luminous and more beautiful than a thousand rising suns. The pictures we see in the world are only a shadow of His magnificence. The Blessed Mother was next to Jesus; She was so beautiful and radiant. None of the images we see in this world can compare with Her real beauty. Heaven is our real home; we are all created to reach heaven and enjoy God forever. Then, I came back to the world with my angel. Now, back at the hospital, they gave me blood transfusions and I was taken to surgery to repair the broken bones. They worked on my lower jaw, ribs, pelvic bone, wrists, and right leg. After two months, I was released from the hospital, but my orthopedic doctor said that I would never walk again. I then said to him: “The Lord who gave me my life back and sent me back to the world will heal me.” Once at home, we were all praying for a miracle. Still after a month, and with the casts removed, I was not able to move. But one day while praying I felt an extraordinary pain in my pelvic area. After a short while the pain disappeared completely and I heard a voice saying: “You are healed. Get up and walk.” I felt the peace and healing power on my body. I immediately got up and walked. I praised and thanked God for the miracle. I reached my doctor with the news of my healing, and he was amazed. He said: “Your God is the true God. I must follow your God.” The doctor was Hindu, and he asked me to teach him about our Church. After studying the Faith, I baptized him and he became Catholic. Following the message from my Guardian Angel, I came to the United States on November 10, 1986 as a missionary priest… Since June 1999, I have been pastor of St. Mary’s Mother of Mercy Catholic Church in Macclenny, Florida. “There is a purgatory, and the souls there detained are assisted by the suffrages of the faithful, but especially by the most acceptable sacrifice of the altar” (Council of Trent). “And making a gathering, he sent twelve thousand drachms of silver to Jerusalem for sacrifice to be offered for the sins of the dead, thinking well and religiously concerning the resurrection” (2 Maccabees 12:43, Douay-Rheims Bible). “It is therefore a holy and wholesome thought to pray for the dead, that they may be loosed from sins” (2 Maccabees 12:46, Douay-Rheims Bible). Bro. Marwil Llasos is one of the best Catholic Apologist in the country today. If you want to read more of his Apologetic Materials I suggest you visit his Blogs. They are listed in our Blog links in the right side of this Blog. Of all the misunderstood Catholic teachings — and there are a few of them — purgatory is often seen as the most embarrassing. The case against purgatory seems to be based on three major objections. First, the teaching of purgatory seems to contradict the finished work of Christ and offend the basic understanding of God as a loving, all-caring, all-merciful God who has forgiven our sins in Christ Jesus. Second, purgatory seems to offer a “second chance” for those who did not follow Christ in this life. Third, purgatory does not appear to be a biblical teaching. Before examining the truth about purgatory, let’s take a look at these objections and see why they should be taken seriously. Truly, truly, I say to you, he who hears my word and believes him who sent me, has eternal life; he does not come into judgment, but has passed from death to life” (Jn. 5:24). Scripture teaches us about a God who “so loved the world that he gave his only Son, that whoever believes in him should not perish but have eternal life” (Jn. 3:16). The Christian believer is called to accept the mercy of God as all-powerful, capable of overcoming all sin, and yet the Catholic who holds the teaching of purgatory seems to belittle God’s forgiveness. From this perspective, God appears almost schizophrenic, wanting to forgive our sins and yet meticulously hold us accountable for them, at one time cleansing us from all unrighteousness (cf. 1 Jn. 1:9) and then later deciding to “fry us” for displeasing Him. Have we “passed out of judgment” (cf. Jn. 5:24) or haven’t we? Has Christ forgiven our sins, or hasn’t He? The second objection against purgatory is that it is a manufactured second chance. If you don’t really want to follow Christ, you can still get to heaven through the “backdoor.” Yet Scripture is clear that spiritual mediocrity is unacceptable (cf. Rev. 3:15-16). Jesus calls for complete commitment. He is either Lord of all, or He isn’t Lord at all. There is no second chance; we are either for Christ or against Him (cf. Lk. 11:23). The doctrine of purgatory seems to be an “end run.” But Jesus said, “I am the way, and the truth, and the life; no one comes to the Father, but by me” (Jn. 14:6). The third argument against the doctrine of purgatory flows from a main dogma of Protestant theology, sola scriptura (“the Bible alone”). After all, where in the Bible do we find purgatory? A quick word check in any concordance will demonstrate that the word is nowhere to be found in Scripture. There’s no discussion of some third place between heaven and hell. Surely something as important as purgatory would be clearly taught in the pages of Scripture! Purgatory also appears to be “guilty by association”: The doctrine is caught up in the “Catholic collection” of the intercession of the saints, indulgences, the sacrifice of the Mass, and other items that are perceived as “unbiblical” and the fruit of mere human tradition. As Christ warns, “[F]or the sake of your tradition, you have made void the word of God” (Mt. 15:6). When I began to investigate the teaching of purgatory, I knew that it wasn’t enough to simply ask, “Where in the Bible is purgatory?” As a Christian, the two most fundamental truths that I held were the Trinity — three Persons in one God: Father, Son, and Holy Spirit — and the Incarnation, that the eternal Son, at a point in history, took on human nature and became man like us in all things but sin. And yet the words “Trinity” and “Incarnation” were nowhere in Scripture. That is to say, the words weren’t, but the teachings were. I now needed to go to the Bible and examine whether the teaching of purgatory — whether the word was there or not — was to be found in the teachings of Christ and the apostles. I began to search the Gospels to see if Jesus gave any teachings concerning judgment or purification at the end of our earthly life. I began to see that several of Our Lord’s teachings, far from disproving purgatory, seemed to point to the possibility that there might be some debt of justice that would be paid after our earthly life. “You wicked servant! I forgave you all that debt because you besought me; and should not you have had mercy on your fellow servant, as I had mercy on you?” And in anger his lord delivered him to the jailers, till he should pay all his debt (Mt. 18:32-34). What was Jesus talking about? Scripture clearly teaches, “There is therefore now no condemnation for those who are in Christ Jesus” (Rom. 8:1). And yet Our Lord Himself gives the example of a man who had been forgiven, afterward acted unjustly, and finally was handed over to repay all that he owed. Again in St. Luke’s Gospel, Our Lord challenges His followers to make peace with one another, so that they will not be handed over to the magistrate who would throw them into prison: “I tell you, you will never get out till you have paid the very last copper” (Lk. 12:59; cf. Mt. 5:26). Christ calls the believer, who has passed out of condemnation — the sentence of hell — to live a life of justice which will be exacted to the last cent. If this is not the case, then the teachings of Jesus make no sense. The Catholic teaching about purgatory is that if, at the end of a Christian’s earthly life, this debt of justice was not satisfied, he shall be purified in purgatory before entering heaven. The teachings of Christ did not seem to contradict this. But lack of contradiction is still a long way from proof. If this sin cannot be forgiven either in this age or in the age to come, some sins might be able to be forgiven in the age to come. Without using the word “purgatory,” Jesus is presenting teachings that seemed in harmony with the Catholic teaching on purgatory and were a bit difficult to interpret from an Evangelical perspective. While I was far from ready to accept that Jesus was referring to purgatory, I was finding myself hard-pressed to come to any other conclusion. This “forgiveness of sins” and “the age to come,” the reference to a prison in which we would not be released until we had “paid the last cent” — this is certainly not heaven or hell. We never get out of hell, and heaven is no prison. For no other foundation can any one lay than that which is laid, which is Jesus Christ. Now if any one builds on the foundation with gold, silver, precious stones, wood, hay, stubble — each man’s work will become manifest; for the Day will disclose it, because it will be revealed with fire, and the fire will test what sort of work each one has done. If the work which any man has built on the foundation survives, he will receive a reward. If any man’s work is burned up, he will suffer loss, though he himself will be saved, but only as through fire (1 Cor. 3:11-15). The passage is quite clear: Gold and silver, when placed into a furnace, would be purified; wood and hay would be burned away. As this is done, Scripture says we will suffer loss, but be saved “as through fire.” The image of purgatory was becoming more vivid as I read. What else could St. Paul be referring to? He can’t be referring to hell, because it’s clear that the people who undergo this “purifying fire” will be saved, while those who are in hell are lost forever. And yet he can’t be referring to heaven, because he mentions the suffering of loss, while in heaven every tear will be wiped away (cf. Rev. 21:4). Scripture teaches that God is a “consuming fire” (Heb. 12:29). The point St. Paul seems to make is that, as God draws us to Himself after death, there is a process of purification in the fire of God’s holy presence. God Himself purifies us of those imperfect deeds: the wood, hay, and stubble. And those works that are performed in faithfulness and obedience to Christ by the power of the Holy Spirit, those of gold and silver, are purified. This purification is necessary because, as Scripture teaches of heaven — the new Jerusalem — and the temple within it, “Nothing unclean shall enter it” (Rev. 21:27). The biblical images of the purifying fire, through which the believer is saved while suffering loss, were now beginning to sound more and more like purgatory. But where is the word “purgatory?” I began to see that this question revealed an ignorance on my part. The Scriptures were written in Hebrew and Greek. “Purgatory” comes from the Latin word purgatorium. In Scripture, we do find references to an afterlife that is neither the hell of the damned nor heaven. In the Old Testament, the Hebrew word sheol is used to describe this condition; in the New Testament, the Greek term is hades. I had always thought that hades was hell, but Scripture teaches very clearly that hades is not hell; it is distinct from gehenna, or the lake of fire which is the hell of the damned. In fact, the Book of Revelation describes how, at the end of time, death and hades are thrown into hell (gehenna). This is the second death, the lake of fire. Scripture teaches that at the end of time, there is no more death; and once the purification of all souls has taken place, there is no more need for hades. This same concept of sheol (in Hebrew), hades (in Greek), and purgatorium (in Latin) is purgatory as we have come to know it today (cf. Catechism, nos. 1030-32). The major objection to purgatory is that somehow it undermines the finished work of Christ. Is Christ’s death sufficient? Of course it is! It is sufficient to win our redemption and to allow the Holy Spirit to sanctify us. The work of the Holy Spirit in the life of the believer, however, is the work of purification and sanctification. It is the application of the divine life won by Christ. Purgatory in no way should be viewed as a “second chance,” by which those who did not believe in and follow Christ can somehow “suffer their way into heaven,” despite their rejection of the Christian life. Jesus is clear that those who refuse to follow Him are guilty: “[H]e who does not believe is condemned already, because he has not believed in the name of the only Son of God” (Jn. 3:18). Spiritual purification is possible only for those who have been reconciled to God in this life (cf. 2 Cor. 5:18-20). The sacred text notes that this was an honorable deed, and the passage closes with the statement, “Therefore he made atonement for the dead, that they might be delivered from their sin” (2 Mac. 12:45). What is clear and undeniable is the solidarity the early Christians felt with the deceased. Many ancient Christian monuments call out for prayer. For example, the epitaph of a bishop named Abercius, composed toward the end of the second century, provides: “Standing by, I, Abercius, ordered this to be inscribed; truly, I was in my seventy-second year. May everyone who is in accord with this and who understands it pray for Abercius.” This practice of prayer for the deceased predates a fully developed defense of this practice, which was provided at the ecumenical councils of Lyons II (1274), Florence (1439-45), and Trent (1545-63). As I began reading the Church Fathers, I was struck not only by the confidence of these holy men and the reality of the purifying fire (cf. 1 Cor. 3:15), but also by how deeply the teaching was rooted in the apostolic Tradition. The historic evidence clearly pointed to a belief in a state of purification that would later be called “purgatory.” This term corresponded to the Hebrew concept of sheol, and to the Greek term hades in the New Testament. This third and temporary state of purification is biblical, apostolic, historical and, most of all, true and completely reconcilable with the teachings of Jesus Christ in the Gospels. The doctrine of purgatory is completely reconcilable with a loving God who is a consuming fire. As we are drawn up into His love, into His very divine life — Father, Son, and Holy Spirit — we begin to burn with that same divine fire, and those impurities to which we have clung in this life must be burned away. This will inevitably involve suffering, as we let go of those imperfect things to which we are attached. The hidden mystery behind the teaching of purgatory is our calling to live in God for all eternity, which requires us to give perfectly of ourselves (cf. Mt. 5:48). Even with deep faith, the Christian life is difficult. We are called to manifest heroic generosity, and yet generosity hurts in this life. No matter what we’re asked to give, we seem to run out — of time, of energy, of money. God calls us to acknowledge this weakness, this poverty, and to turn to Him and cry out for help that He might fill us with His grace. Martin, Curtis. “The Burning Truth About Purgatory.” Lay Witness (November, 1999). Curtis Martin is the executive director of FOCUS. This article is a condensation of his chapter from Catholic for a Reason: Scripture and the Mystery of the Family of God. Scott Hahn discusses the Catholic doctrine of purgatory and how it is necessary in understanding the application of Christ’s redemptive work in salvation. Using Scripture, Scott explains the Hebrew concept of sheol or the netherworld. He also cites passages such as Sirach 7:33, “Withhold not your kindness, O Lord, from the dead,” to show how the ancient Hebrew had an intimation that the mercy of God extended even to the dead. This, our second installment in the series of Answering Common Objections, is going to focus upon the doctrine of purgatory. We’re going to try to understand purgatory as Holy Fire, just like we tried to understand the Pope in terms of him being our Holy Father, the father figure who symbolizes the unity of the family of God here on earth under the ultimate fatherhood of Almighty God. Before I begin with the technical definitions and then the Biblical-historical defense and evidences and so on, I would like to just briefly just share my own personal experience. The Pope was a doctrine that was very difficult for me and so was Mary. Both of those were dealt with in terms of historical evidence and Biblical evidence and basically, I was done. Purgatory was different. I came to a conclusion that sufficient evidence exists for an intermediate state between heaven and hell on the basis of the Bible and ancient Jewish practices of praying for the dead and evidences in the early Christian Church that I will review this morning. But there was still a very big emotional block. Very big. It’s hard to describe. I’ve tried and I’ve really failed every time to put it into words because — well, for two reasons. On the one hand, as an Evangelical Protestant, I had firm convictions about the finished work of Jesus Christ; that He accomplished our redemption on the cross. Those convictions I still hold fast to. Every Christian, every Catholic must. The work of our redemption is accomplished. It is finished. But the application of that redemptive work of Christ by the Holy Spirit is another matter, one that I did not really come to grips with because it involves suffering which nobody wants to come to grips with — either suffering in this life or suffering afterwards to expiate or to repay or to provide restitution for the effects of sin. But that distinction is going to be crucial from the beginning of our time today until the end — that Christ has accomplished our redemption. It’s over and done with. He has finished it. But then He sends the Holy Spirit to apply it, and the application of redemption is just as essential. We don’t have a binary deity, the Father and the Son We have a trinitery deity, a family — a Father, a Son and a Holy Spirit. Jesus said, “I come to baptize with fire and spirit.” And so, when the Spirit comes at Pentecost, tongues of fire appear, and whenever the Holy Spirit appears, there is Holy Fire. When we are taken up into the Spirit, there we are consumed with a passionate, burning love, the furnace of Christ’s heart, the reality of the Holy Spirit, the fiery love of God. That is not because Christ’s work is not enough. It’s rather the application of the work of Jesus Christ. Now that block, that obstacle was one of the biggest. It was the biggest for me as far as the doctrine of purgatory was concerned, and I would suggest that for many non-Protestants, for many Catholics, it’s an obstacle, too, because I find in discussions that many Catholics as well as Protestants share this misunderstanding. So, I would say, the second problem that I had to deal with, and we are also going to deal with today, is misconceptions of purgatory. I’ve come across people in the Church who are firmly convinced that purgatory gives people a second chance. It doesn’t! Now, you may think, that’s just a non-Catholic misconception, but no, it’s a common Catholic misconception — that if you died and you were alienated from God, purgatory is your second chance. That’s not the case. That totally distorts the Church’s teaching. Those people who in God’s grace and mercy are allowed to enter into purgatory die in a state of grace, not just with supernatural faith and hope but with supernatural charity that was alive in their hearts and lives. That is the prerequisite for entering purgatory. You cannot die in the state of mortal sin; you cannot die estranged from God, in a way hostile to God, having committed yourself to valuing things of the world more than the creator of the world. You cannot do those things and enter purgatory, much less heaven. Purgatory is not a second chance. It’s only for those whom God has from all eternity destined for heaven, and it’s only for those who die in a state of grace. Furthermore, we’ve got to clarify the fact that it is not to make up for Christ’s unfinished work. I’ve already said that, but that, too, is a common misconception that continually needs clarification. There’s nothing inadequate about the work of Christ. It’s finished, but it needs to be applied. Likewise, some historians suggest that purgatory is a Medieval invention, because the word purgatorio is not common. It’s not frequently found in the early Church’s writings. In fact, it’s very infrequent and rare. Now, you’ll see that the word is rare, but the teaching is not just common, but practically everywhere, going back to the earliest times. Then, finally, some real cynics and some real anti-Catholics would suggest that purgatory is just simply and essentially a money-making scheme to sell indulgences and to make money for the stipends that the priest receives at Mass. Now, seeing that the stipends vary, but they’re around five dollars per Mass, no one is going to be getting rich saying Mass. And as far as indulgences are concerned, we’re going to have to deal with that at a later time, but that just reflects a total misunderstanding of what the Church, in fact, teaches about indulgences. Now, before I proceed, I’m going to have to deal with an elementary objection that’s going to come up over and over again, and that is, what is this idea of mortal versus venial sin? I mean what kind of cost accounting is this? Now, not just anti-Catholics but non- Catholics have a question about this, and I’m going to make that distinction clear right now. There are millions of non-Catholics with whom we share many things in common, but there is something else out there and that is the anti-Catholic. The anti-Catholic might be Protestant, might be Orthodox, might be atheist, might be agnostic, might be just nothing. But they are people with a passionate desire to “do-in” the Catholic Church and the faith of Catholics. That is something altogether distinct from just being non-Catholic. We should hold hatred for neither. We should love them both, but we should keep clearly in mind that when you meet a non-Catholic, chances are, they love the Lord and they try to follow the Bible the best they can. You wouldn’t do that in natural life with your physical body. You wouldn’t say, “Well, I’m only going to be scarred for life. I’m only going to be maimed. I’m only going to be paralyzed; therefore, I can just go ahead and do these things. You know, third degree burns, but I can still breathe and metabolize.” No, we treat our bodies with respect. We’ve got to learn to treat our souls the same way. Just because a venal sin does not kill, it still scars and wounds and weakens and inclines us to mortal sin. All sin is despicable to God and to those who are His children. But there is a distinction which John assumes. He doesn’t feel any need to argue it, but he takes it for granted. And I’ve got to tell you, when I first pondered this passage, it startled me because the conclusions are striking. Let’s keep that in mind because the definition assumes that prior understanding of the distinction between mortal and venial sins. Now, let’s ask ourselves, “What is the evidence for this?” I want to share with you my own intellectual, spiritual pilgrimage on this particular point because, as I said, I didn’t just have intellectual problems, I had emotional problems, psychological difficulties with this teaching. One thing I did, though, was to ask the Lord to open my mind. And I continued to pray that as I went through the evidence for and against this idea of purgatory. I have here a note card that goes back several years, long before I became a Catholic. I went through much of scripture, as much of it as possible pertaining to the subject, and then I poured through the writings of Protestants and Catholics to see what they could do to shed light on scripture. I have several articles summarized on this little note card. I can barely read it and I’m just four inches away from it, but I want to share with you some of the conclusions of these scholars who are not Catholic but open-minded scholars who are studying the Word came to in the Old Testament. This focuses upon the belief in sheol. I’m going to suggest that what the Latin word, “purgatorio” signifies, that is the place where we are purged of disordered self-love, the Hebrew word, “sheol” can also signify or denote. Just like the Greek word “hades” can denote it. Three words, perhaps with the same reality, with proper distinctions made, if we had the time and the energy and the know-how and so on. But I would suggest that “hades,” the Greek word, is not normally associated with just simply “hell fire.” “Gehenna” is the word that Jesus uses for hell fire, “where the worm dieth not” and there’s this unquenchable fire. That’s actually borrowed from the garbage dump outside of Jerusalem, “ge-hin-nom,” the valley of hin-nom, which was where King Manasus sacrificed thousands of Israelite children to Molek, a demon god. After that nobody wanted to live in such defiled land, so it became the garbage dump, with fires continually burning. Nobody wanted to get near it because of defilement. It was a haunt of demons. That was the image that Christ used for hell, as we normally associate it, but hades is a term that admits to a kind of double usage as we will see and as scholars have seen. For instance, Ellard Bailey in a book, “Death in the Literature of the Old Testament” speaks about how throughout the Old Testament, the belief is found that the good and the evil go down to sheol, it’s the place where the righteous and the unrighteous go. In Brown, Driver and Briggs, one of the most authoritative reference works for understanding Hebrew words, you can look up sheol, and there you find that sheol is divided into two sections, one for the evil and one for the good. You can actually find in the apocryphal work of 1st Enoch that it is divided up further into four sections: the evil section into two sections, those who are evil and those who are really evil; and also two sections for the good as well. R. L. Harris in another study speaks of sheol as the grave. He has been heavily criticized by scholars across the board for trying to reduce the word sheol down to being merely the grave. He especially ignored a major work in German that I came across by Afmar Kiel. Now I know you’re not just going to rush out to a seminary book store and purchase all of these works and read them by tomorrow morning, but you can get the tape or you can take notes on this and perhaps get some of these sources later on. Another scholar by the name of Hiedel spoke of sheol as existing in the Old Testament for the righteous. He also did a word study of the underworld, the nether world and saw it associated with the evil. One of the key studies I came across, however, is by a man named Alexander, an Evangelical Protestant with decidedly non-Catholic leanings entitled, “The Old Testament View of Life After Death in Familias” in 1986, I believe. He rejects a lot of views that would basically make an Old Testament look like primitive garbage. He shows that sheol throughout the Old Testament represented the abode of the dead, the underworld for both the wicked and the righteous. For the wicked it was dark and silent and terrifying and a kind of imminent or ultimate preparation for final punishment. But for the good, there was hope, not pleasure, not comfort necessarily, but hope, great hope. Now, working through these scholars and their studies of the Old Testament doctrine of sheol, I’d also done my own study. I came to the conclusion that they were right, that the Old Testament has a firm teaching that you could find in many different strata or levels of Old Testament tradition and there you find this belief that the soul goes on living somehow in a shadowy world where the righteous and the unrighteous have a share, although it’s distinct; and it is not a pleasant place. It is not a pleasant place at all. Now, let’s just take a look at a few passages to see this. We can see for instance in 2nd Samuel 22. If you have a Bible, turn with me to the book of 2nd Samuel. In chapter 22, verse 6, we have an important passage. This, in effect, is a psalm of praise written by David talking about how he has been delivered. He describes his earthly suffering in cataclysmic and apocalyptic imagery to show how his earthly deliverances by God are signifying the ultimate deliverance that he will undergo at the grave. He says in verse 5, “For the ways of death encompassed me, the torrents of perdition assailed me, the cords of sheol entangled me, the snares of death confronted me, and in my distress I called upon the Lord. To my God I called….” And it goes on describing how in verse 20, for instance, “He brought me forth into a broad place.” It implies that sheol is a place of entanglement and perdition or at least, I should say, it’s a place where those who die go down. We see the same teaching in Psalm 18, verse 5, which is practically the same psalm as we read in 2nd Samuel 22, so we can skip over. Let’s take a look at Psalm 86, verse 13. We can only be selective because the limits of time but, rest assured, there are literally dozens and dozens of places where the term sheol is used. In my version, I’m using the Revised Standard Version, the term is simply left untranslated, because it’s very difficult to translate the Hebrew sheol into any English word that we usually use. So, anyway, Psalm 86, verse 13. In Psalm 86, verse 13, we see, “Great is thy steadfast love toward me. Thou hast delivered my soul from the depths of sheol. Thou hast delivered my soul from the depths of sheol.” Other passages you could look at include Psalm 116, verse 3. You can actually see the New Testament citing this passage in reference to Christ in Acts chapter 2:27-31. You could almost summarize this perspective as you look at the Book of Sirach, chapter 7, verse 33, where we hear, “Withhold not your kindness, O Lord from the dead.” So there’s a continued perspective throughout Old Testament times that God’s kindness extends down to the realm of the dead, the abode of the dead and that there is a distinction made between the righteous and the unrighteous as they await Messiah’s coming. Now, of course, you’ve been awaiting for the most important passage of all in the Old Testament, at least the Catholic Old Testament, 2nd Maccabees. Let’s turn now to 2nd Maccabees, chapter 12 and look together at verses 39 through 45. This is the locus classicus. This is the place you always turn as a Catholic to show this belief. But I might suggest that you don’t have to be a Catholic to find great insight in this passage. There’s no question in the minds of non-Catholic scholars that the seven books in the Old Testament that the Catholics include but the Protestants exclude were quoted and cited or alluded to by New Testament writers. I have several non-Catholic scholars who vigorously assert and affirm that. So, even if the Jews did not include this in their official collection or their official canon in Jesus’ day, and that’s a point to be disputed, but even if they didn’t have 2nd Maccabees in their official Bible — for instance, the Palestinian Jews may well not have, although the Diaspora Jews seem to have included it. Whether or not, it doesn’t matter. The point is 2nd Maccabees was not rejected for teaching some outlandish novelty, some weird innovation. Rather prayers by the Jews in Temple and Synagogue on behalf of the dead are traceable back to the earliest times. We can’t find the origin of it because, as far back as we go, it’s a prevalent custom that is unquestioned. This belief in the resurrection is found in Job and Daniel and elsewhere. “But if he did this with a view to the splendid reward that awaits those who had gone to rest in godliness, it was a holy and pious thought.” It’s a holy, it’s a wholesome thought to pray for the dead. “Thus he made atonement for the dead that they might be freed from this sin.” Now, simple logic tells us that there is a third realm. If they’re in hell, no expiatory sacrifice will help. If they’re in heaven, no expiatory sacrifice is needed. They must be some place else. What’s he talking about? Well, almost all commentators see this as in continuity with the Hebrew idea of sheol. “But made alive in the spirit in which He went and preached to the spirits in prison who formerly did not obey when God’s patience waited in the days of Noah during the building of the ark in which only a few, that is, eight persons were saved through water.” Now, somebody could say, “Well, these people are only being preached to, to secure their damnation and finalize it.” Well that’s certainly a gratuitous reading that’s not suggested in the text. What is suggested in the text from the previous verse, is we’re talking about Christ the righteous dying for the unrighteous that He might bring us to God. So he goes on to talk about the unrighteous who are in prison, but who are in prison for unrighteousness that we might not consider mortal. It’s unrighteousness, but it is not the kind of sin that is full-fledged and completely rationally chosen in rebellion, full scale rebellion against God. This is something perhaps quite different. At any rate, we have something that is neither hell nor heaven which Christ entered and then exited and, as the early Church firmly believed throughout the Church, Christ descended into hades. That’s the term, we translate it hell, but we sometimes mislead people — He descended into hades and then He ascended into heaven leading captivity captive, as Ephesians 4 says. In other words leading those who had been captive in prison for ages, the righteous of the Old Testament, in a train of glory up to heaven. There’s an apocryphal work that some tried to slip into the New Testament. It didn’t really get far but it’s called the Gospel of Nicodemus in which this teaching is just so obviously assumed, it reflects a common understanding of the early Church, even if it is not in a book that we would want to include in scripture. So here we see in 1st Peter, chapter 3, clear teaching for this intermediate state, but even more, an intermediate place. Now, somebody could say, “Where else do you go?” Let’s take a look at the Book of Revelation, chapter 20, verses 4-6 and 11 and following. In Revelation 20, John has a vision. In verse 4 it says, “Then I saw heavenly thrones and seated on them were those to whom judgment was committed. Also, I saw the souls of those who had been beheaded for their testimony to Jesus.” Probably a reference to the prophets like John the Baptist who had been literally beheaded for his marturia, his testimony. The word is mar-tu-ria, where we get the word martyrs. “…testimony to Jesus and for the word of God and it would not worship the beast or its image and had not received its mark on the forehead with their hands. They came to life and reigned with Christ a thousand years in heaven on these thrones.” We’ll return to this by the way when we look into the evidence from the New Testament for the cult of the saints, why we believe that some saints are actively interceding on our behalf with heavenly authority. Two classes of righteous, those who are martyred, they just went straight to heaven and sat on thrones and reigned with Christ. But there’s a second group, isn’t there? Those that did not participate in the first resurrection of the righteous martyrs, but they did have their names written in the book of life; so when the white throne, the great white throne of judgment occurs, they are delivered from hades. They participate in what you could call the second resurrection, not the second death and afterwards death and hades are swallowed up in the lake of fire, and then you’ve got pure hell and pure heaven and no more intermediate place or state at the end of time. Now you might say, “Well, John is not arguing these things. He’s not demonstrating the existence of this third place.” That’s right. I acknowledge that point, but he is assuming it. What’s so remarkable is that he doesn’t feel any need to argue it. He seems to think this can be assumed. They are not so righteous as to lay down their lives. They didn’t embrace the cross so fully that they died as martyrs and persevered through all the pain and suffering. Let’s go back one second. I just remembered something. Let’s go back to 1st Peter 3 and read on something more. In 1st Peter as he goes on talking about all of this, just a couple of verses down we come to Peter 4:1. There we read this, “Since therefore Christ suffered in the flesh, arm yourselves with the same thought for whoever has suffered in the flesh has ceased from sin.” God has called many of you to suffer in this town and in this life and it’s hard. I can’t even describe it. I’ll bet you it’s probably worse than I can imagine in some cases here. Why would He do it if He loves us and wants to bless us? In spite of that love? No, precisely because of that love. He loves us too much, He loves us just the way we are but He loves us far too much to let us stay that way. And how do you squeeze sin out of a sinner? — by giving him faith and hope and charity and suffering. That endurance brings hope and that hope does not disappoint us as Romans 4 says. It brings ultimately the finest fruit of charity which alone abides forever, in 1st Corinthians 13 we read about that. It goes on, 1st Peter 4, verse 8, “Above all hold unfailing your love for one another since love covers a multitude of sins.” In other words, it’s not just Christ suffering. It’s not just Christ’s love that covers our sins. We are so truly united to Christ, His life is so truly filling us up that when we suffer, we cease from sin. It isn’t just Christ suffering. It’s Christ suffering lived out in us and through us for our sake and for those around us, but then as charity flowers and becomes complete and perfect in us, love covers a multitude of sins. Why? Because Christ’s love wasn’t enough, He didn’t suffer long enough? No, because His suffering and His redemption having been finished and accomplished by the Holy Spirit, the third forgotten Person of the Trinity, applied in us who are mystical members of His mystical body. The essence of Christianity is Christ reproducing His life, His suffering, His death and then His resurrection in glory in us. That is the essence of Christianity. Christ is our substitute for Adam who did us in, but He is not a substitute in the sense that He was righteous so that we could be unrighteous. He suffered so that we don’t have to suffer. He took our stripes so that we only have healing and good times and easy street from here on. Sure, God does heal us sometimes, on earth, in time. But don’t ever, ever swallow the line that you’re not healed because you don’t have faith and you’re in a really bad state because you’re still suffering from this disease or this illness and so on. Don’t fall for that because sometimes God doesn’t heal somebody on earth in time because He’s got a much greater healing in mind. He’s not satisfied with just giving us back a few more years of earthly life. Sometimes He loves us so much that He wants to give us the greatest gift of all and that is eternal glory and a resurrection body, which is the final and complete and ultimate healing that we really should be craving and praying for. Verse 12, “Beloved, do not be surprised at the fiery ordeal which comes upon you.” Notice what kind of ordeal? Fiery! “The Holy Spirit led the people of Israel through the wilderness as a pillar of fire by night and smoke by day.” Into what — good times, comfort, ease and pleasure? No. Forty years of wandering in the wilderness sure ain’t fun and all life is an exile, wilderness of spirit, the New Testament teaches us. We are pilgrims. We’re in exodus. We’re leaving this world, the Egypt of the New Testament. We’re going to heaven, the Promised Land, but in the meantime, we’re wandering. Led by the Holy Spirit, a pillar of fire. So He calls us to go through deserts. He calls us to encounter all kinds of trials. Why? Because He didn’t want us to have too much fun? No. Because He doesn’t want us to just settle down and pig out on earthly goods. I might say this strongly. The Catholic view of suffering is one of the most beautiful truths that the Church teaches, but perhaps one of the most weird and incomprehensible ideas to non-Catholics. It took me years to understand it and it probably will take me decades to try to emulate and live it out. It’s incredible, but I’m going to tell you, our world is in need of it! This health and wealth gospel that says, “You name it, you claim it, you can get wealthy and you’re healed,” is bogus. Preach that to the Ethiopians, “Come on, kids, you don’t have to starve. Have enough faith.” That’s perverse! We are called to share in Christ’s suffering so that we could share in His glory. Some of us take short cuts, don’t we? But God will not abandon us because He loves us immature children too much, just the way we are, but too much to let us stay that way. He brings one fiery ordeal after another. If you are suffering a great deal. If you are going through a kind of purgatory on earth, you rejoice. Those who are fat and lazy and have it easy, they should beware. As Mother Teresa continues to say, “These are God’s tender caresses, this suffering.” The more suffering that you endure in faith and hope and charity, the more God’s love is being revealed to you. No wonder the gospel will never sell in the world. There is no way to teach this so that Madison Avenue PR men and women can just go out and make this popular without perverting it and watering it down. Let’s turn to Romans 8 and see this doctrine taught further. Romans 8 is one of my favorite all-time passages and has been for years and years as a Protestant as well as a Catholic, but I must say I’ve slightly adjusted my understanding in the last few years. I always thought that Romans 8, which many considered to be — I mean Romans is in a sense the central gem in a cluster of Pauline precious stones. Romans 8 is the central facet that glistens and gleams. It’s beautiful. It’s a promise that we will persevere through the Holy Spirit. Now instantly Paul recognizes the objection we all have, b-b-b-b- ut the suffering! I don’t like to suffer. Well, “I consider that the sufferings of this present time are not even worth comparing with the glory that is to be revealed to us.” Oh then it’s a little cost benefit and analysis. It’s a little cost, and this is what we’ll gain. If anybody is getting gypped, it’s God. “For the creation awaits with eager longing for the revelation of the sons of God. For the creation itself was subjected to futility, not of its own will, but of the will, by the will of him who subjected him in hope.” It goes on talking about how we groan inwardly, but not we ourselves have to know how the spirit groans inwardly in us. Verse 26, “Likewise the Spirit helps us in our weakness for we do not know how to pray as we ought.” Ain’t that the truth! We don’t know how to pray as we ought. We need to pray. We can theologize. We can teach and we can listen to tapes and read books all that we want, but if we don’t pray, we won’t be able to suffer in the spirit. We won’t be able to do anything profitable for heaven. We’ve got to pray. That’s got to be the beginning and end of it all. “The spirit himself intercedes for us with sighs too deep for words.” He goes on and what does he say in this whole chapter? He’s not saying once saved, always saved, which means in the spirit you’ve got it made in the shade. He is saying, “Once saved, you’ve got to suffer with Christ in order to enter into His glory.” And if you think suffer and suffrage from Christ, you’ve got it backwards. He goes on to say, “nothing will ever separate us from the love of Christ.” You see that? “Nothing will ever separate us from the love of Christ.” It says this in verse 35, “Who shall separate us from the love of Christ? Shall tribulation or distress, persecution or famine, nakedness or peril or sword? As it is written for thy sake, oh God, we are being killed all the day long, we are regarded as sheep to be slaughtered.” Did you get that? Jesus ain’t the only lamb of God. Now this might seem like kind of baa to our ears — I shouldn’t be so sheepish about my puns, but anyway, Jesus is not the only lamb of God. We are so like him, we are made like him, that we are regarded as sheep to be slaughtered. “Now in all these things, we are more than conquerors for him who loved us.” The idea that it’s suffering that sanctifies us. Paul does not say, “Who shall separate us from the love of Christ? Shall adultery, shall murder, shall theft? No, in all these things we are more than conquerors?” No, he doesn’t say “affluence, leisure, luxury, filthy riches, sumptuous gluttony, all those things are just fine. They’re not fine, but God will see us through all those evil sins.” No, he didn’t say it. He’s talking about the fact that all kinds of suffering, none of them shall ever separate us from the love of Christ. The assumption is, we’ve got to suffer to be glorified. Because the essence of Christianity is Christ reproducing His life and His suffering, His death and His resurrection and His glory in us. That’s what it means to be united in him. That’s what the whole significance of our baptism is. Paul says in Romans 6 that because we have been baptized, we have died to sin. When James and John brought their mother to kind of lobby for the right and the left seats in glory, he said, “Are you willing to be baptized with the baptism with which I have to be baptized?” So what did He associate baptism with? An ordeal of suffering. Christ said, “I come to baptize with fire.” I’ve got to tell you, a lot of people are making salvation out to be heavenly welfare. No wonder it sells. I could fill a church in a matter of months, it I was preaching nothing but welfare from heaven for nothing we do. We don’t have to suffer. We don’t have to work. We don’t have to obey. We should, but we don’t have to. That’s wrong, but it will sell in this century and in every age. That’s why purgatory is so incomprehensible. That’s why it seems so wrong, because it feels so right to have a kind of welfare scheme. No. God is not some politician buying votes by promising all kinds of little goodies. I mean not that welfare is not essential in our society. Let’s assume that it is needed. But ultimately God does not want to make us completely dependent in a sense of being helpless. God wants to father sons and daughters who will grow up and mature and be strong in faith, hope and charity, filled with wisdom, filled with spiritual strength to love others and to sacrifice themselves for others. This is all of what purgatory implies. Let’s take a look at perhaps another very crucial passage in this regard. First Corinthians, chapter 3. I must admit that theologically and psychologically 1st Corinthians 3 basically sealed it up. It was all sewn up for me when I worked through this, praying, studying, pondering. I think it’s strong and clear. In 1st Corinthians 3, he’s talking about how we are in Christ. We’re temples with Christ. We’re His body and yet we are also temples as well. We are God’s field, His building, and in verse 9, the kind of building we are. There’s a temple and he goes on to describe how we have got to be careful then. If we are all God’s temples, temples of the Holy Spirit, we better be very circumspect and prudent about the way we build. “According to the grace of God given me,” verse 10, “like a skilled master builder, I laid a foundation and another man is building upon it. Let each man take care how he builds upon it.” The foundation work is Christ. Make no mistake about that. Our works are not our foundation unless our house is going to crumble. Then we and our works are not the foundation, but Christ is the foundation. “For no other foundation can anyone lay than that which is laid which is Jesus Christ. Now if anyone builds on the foundation with gold, silver, precious stones, wood, hay, straw, each man’s work will become manifest for the day will disclose it. Because it will be revealed with fire and the fire will test which sort of work each one has done. If the work which any man has built on the foundation survives, he will receive a reward.” In addition to salvation, he will receive a reward: thrones, crowns, whatever you want to say. “If any man’s work is burned up,” the wood, the hay and the straw, “if any man’s work is burned up, he will suffer loss.” Notice that wood is not as flammable as hay is consumed. So there are degrees of good works, gold and silver and so on, and degrees of venial sins. Jesus even talked about somebody would receive fewer stripes than another person. He talks about how, I think in Matthew 5, you won’t get out until you pay the last farthing or the last penny. So it depends on what we have done, what we will do because we have got to be purified in the Holy Spirit of God, which is fiery love. We have got to take up our cross. We are saved by Christ who is our foundation, but we have to build and what we build has to undergo the fiery judgment on the day. Well, my first comeback was, “Well, yeah, but that’s an instantaneous process.” Then I’d argue with myself. Okay, but what is an instant? Is it a millisecond? Is it a microsecond? Is it a second, two seconds, three seconds? I mean, let’s face it. We’re finite creatures. It might be a moment, but what happens when you undergo a moment of incredible pain versus, say, ten minutes of incredible pleasure? Do the ten minutes go by like a second? Yeah. And does that second go by like ten minutes? At least. We’re finite creatures going through time. We don’t do things outside of time. We are purified in time. Now maybe for you it will be a second. But unless I really clean up my act more, it’s going to be more than a second, I suspect, for me. I believe that God’s grace is going to work through me and do all kinds of things. So, God forbid, we should never assume that we have to go through purgatory. He gives us the grace of vision, not only to avoid purgatory but to cooperate with that grace and to live a Christ- like life so we don’t have to settle for purgatory and I, with God’s grace, won’t. But the fact is those who will go through this fiery ordeal will suffer in fire the spirit of judgment. Malachi, chapter 3, verse 3 speaks about the day being like a refiner’s fire which purifies the sons of Levi. The priests of God have got to go through this fiery process of purification. “Do you not know that you are God’s temple and that God’s Spirit dwells in you?” It’s that same Spirit that dwells in us and will purify and judge us and finally purge us of all of this disordered self-love and sin. And we could call it purge-a-tory, if it’s going to be less misleading because that’s all that’s happening. We are being purged. Christ’s work is not being supplemented. Christ’s work is being manifested and applied. The fiery, sanctifying work of the Holy Spirit does not undermine the finished work of Christ, it expresses it. It manifests it and it brings it to pass. Nobody is going to say, “Christ has died on the cross; therefore, we don’t need faith.” Of course we need faith. Well, if we need faith, is it because Christ’s work isn’t finished? After all, He says, “It is finished.” Why do we need faith? We’re all saved. Nobody says that. Even non-Catholics say, “We have to have at least faith.” Well, if we have to have anything besides the cross of Christ, if we have to have personal faith, and that doesn’t undermine the work of Christ, then we have to ask, why? Well, it’s because the Holy Spirit gives us faith and then hope and then charity and the capacity to sacrifice and suffer. And how crucial it is that we willingly cooperate with that grace. “The day of judgment is coming, to burn like a furnace,” Malachi 4, verse 1. chapter 3, verse 2, “the refiners for silver and gold.” Hebrews 12, verse 29, tells us that our God is a consuming fire. That’s the kind of love He has. It just burns out of control. Our God is madly in love with us. He’s madly in love with us. It’s sheer madness for the God who owes us nothing, to whom we owe everything but to whom we gave practically nothing. He turns around and gives us everything including himself by becoming one of us and allowing us to kill him. He’s madly in love with us, and that mad love is burning out of control and filling this vast universe. It’s just that our physical eyes can’t see it, but they will some day and our souls will undergo it. And those who have refined their love through self-sacrifice and mortification and penance and charity through the spirit of the foundation which is Christ, but those who have done so are going to enter into that fiery love of God and say, “Oooh, it feels so good! I’m home.” And other people are going to look back where they have compromised and taken short cuts; they’ve done a lot of great things in love and faith and hope. They’ve even suffered some, but they have taken a lot of short cuts, They are going to enter that fire and say, “Ooh, ooh…,” and purgatory is for them. Now the saints in heaven would freeze in purgatory, and hell fire for the saints in heaven would be like ice, dry ice. Our God is a consuming fire. The periphery of the universe is hell fire. That isn’t the hottest. The hottest is what you find when you get closest to God. Out of the nine choirs of angels, the highest are the Seraphim. In Hebrew it means the burning ones. They glow bright because they are consumed with this passionate, fiery love that God has for all eternity for us as His children. Now does he mean that Christ died a little too quickly? He needed a few more hours? No. It means that Christ’s suffering and death must be reproduced and filled up in the Church and if some are slacking off, that means others must become more like victim-souls, willing to bear a greater burden, willing to shoulder with love, as Galatians 5 speaks about the love, “Love bears one another’s burdens.” We do that just as 1st John 5 speaks about how we can pray for others and get them back on track after their venial sins have been committed. So likewise we can suffer on behalf of others. That’s what fathers and mothers do all the time. And God calls us to do that in the supernatural family, as well, on behalf of our brothers and sisters and our spiritual children, as well. That’s what Paul takes for granted when he makes such an outlandish statement. Outlandish only for those who do not recognize the essential need for suffering. There are some other passages that I should call your attention to because they are classical proof texts. Let’s turn to the gospel of Matthew. I’ve mentioned this already in passing. Let’s turn to Matthew 5:26. There Jesus says, “Make friends quickly with your accuser,” in verse 25, “while you are going with him to court, lest your accuser hands you over to the judge and the judge to the guard and you be put in prison. Truly I say to you, you will never get out until you have paid the last penny.” What is the presumption? Once you pay the last penny, you are going to get out. Where are you going to go then? To hell? No. You paid the last penny. You’re going to enter into the blessing at that point but only after you’ve paid the fine. Now what does this mean, that Christ has not paid for our sin? Of course not. It doesn’t mean that. Christ has paid once and for all for our sin. His death is the ultimate satisfaction and price for our redemption, but His life and His death must be lived out in us. That’s why we need to pick up our cross, and we need to imitate Christ. Did you catch that? We don’t suffer because Christ’s sufferings weren’t enough. We suffer because Christ’s life must be reproduced in us. It is finished. It is accomplished, but now it must be applied. The work of the third person of the Holy Spirit is New Testament history, is personal history. Understand that this is restitution. This is not in a sense forgiveness. Only forgiven souls enter purgatory. This is restitution. It reminds me of a Peanuts comic strip. One time Linus was packing a snowball while Lucy was walking by, getting ready to pound her and all of a sudden she turns around and she says, “If you hit me with that snowball, so help me, you’ll be sorry.” She walks on. Sure enough, boom, smack in the back of her head. She comes back with both fists raised, ready to pound him into mincemeat and he says, “You are so right. I am so sorry.” Now wait a second. I think it was William James or some Harvard philosopher who said, “I would sin like David, if only I could repent like David.” Well you can’t gauge your repentance in advance. That actually adds malice to whatever evil you do. The fact is, if we are truly sorry, we will see the need and the propriety for restitution. Not just monetary, physical restitution for broken windows, but psychical, spiritual restitution for broken souls. The people we’ve hurt, the people we’ve refused to bless, the people we’ve refused to give ourselves to and to give Christ to, the incredible opportunities that we’ve missed because we were lazy and slothful, proud and arrogant. Those memories will burn more than any physical fire when our souls encounter the fiery love of Christ in the Holy Spirit. All those missed opportunities we willfully refused. It’s one thing to miss opportunities for imperfections and faults, another thing to sin deliberately by not giving ourselves. It might not be mortal sin, but we are not only wounding ourselves, but we are wounding the souls who depend upon us. Now are we paying for our sins? No, they are paid for. And the only way we can make restitution is because the life of Christ through the Holy Spirit has been poured out in us so that through our sufferings Christ’s glory can be reproduced in us. But there’s no short cut. Hebrews says that Christ, though a Son, learned obedience through suffering. Why did He suffer? That His human nature could learn obedience and impart that human nature to us through the flesh and blood in the Eucharist, the body and blood of Christ. When we receive that human nature of the eternal Son of God and historical Son of Man, we are enabled to learn obedience through suffering. There’s no other way to learn obedience. If you suffer in the flesh, you have ceased from sin. If you don’t suffer in the flesh, Hebrew 12 makes it perfectly clear, that, you are an illegitimate child. Only God’s children does He inflict suffering on. He says the illegitimate children, He lets them go and have an easy time. We are disciplined because we are loved and if it hurts, if it burns, it’s because that’s because that’s the way God’s love is. It gives of itself. God’s whole essence is self-donation and He calls us to be imitators of God, Paul says. We imitate God when we become self- donators, self-givers and you can’t do that as finite creatures without self-sacrifice, and you can’t sacrifice self without pain. You can’t love without sacrifice. We learn obedience through what we suffer, and if we suffer in the flesh we have ceased from sin. If we take short cuts, God in His mercy will give us summer school to make up for that one class we might have skipped or that one course we might have flunked. We’ll move on to the next grade for sure, but we need a little bit of remedial education. Our opportunity to merit is only on earth because here we can choose to suffer. In purgatory we only accept it. There’s no merit. Glory, sure, but no additional merit. In this earth the Church Militant acquires merits, not merits in addition to Christ, but Christ’s merit bestowed in filling us up, bestowed upon us. When God crowns our works, He is only crowning His own achievements. When He rewards our works, He is only crowning His own work in us through the Holy Spirit, the life of Christ being lived out in us. Take a look at Matthew 12, verse 32 talks about the unforgivable sin that moves on in verse 32, “Whoever says a word against the son of man will be forgiven, but whoever speaks against the Holy Spirit will not be forgiven either in this age or in the age to come.” Now, for that statement to be meaningful, we won’t get into what blaspheming the Holy Spirit means. We can perhaps raise that in the question/answer period, but one thing is clear: this is a sin which cannot be forgiven either in this age or in the age to come. “But the assumption behind the statement is that there are other sins which can be forgiven in this age and, look, or in the age to come. What are we talking about? Well, some people might say, in the Messianic age, after Christ goes up to heaven. That’s plausible, but from earliest times all the interpreters saw this also applying to the intermediate state, for those who die in a state of grace because there we encounter God in Revelation 1:14, “His eyes were like blazing fire.” Revelation 21:27, “Nothing profane shall enter heaven. There Christ sits on a throne of fire,” we’re told and Daniel 7 and also Revelation. There we will also sit but only after we have been purged of all this disordered self-love and sin. “The Lord is coming with fire,” Isaiah, 66, verse 15, “and His rebuke is with flames of fire.” “Fire comes forth from the presence of the Lord” in Leviticus all the way until the end of the New Testament. “The Lord is a consuming fire. We are baptized with the Holy Spirit in fire,” Matthew 3:11. Over and over again we see these passages. I want to give you a quotation. Actually just a few to close this up because I have a few that really helped me out. One of the greatest scholars of the last 100 years was a man by the name of R.H. Charles. He wrote a humungus work entitled A Critical History of the Doctrine of the Future Life in Israel in Judaism and in Christianity. He comments upon the verse I just read in Matthew 12:32. He says, “Now such a statement would not only be meaningless, but also misleading in the highest degree if in the next life forgiveness were a thing impossible. Likewise the saying in the Sermon on the Mount, Matthew 5:26, which we read just a minute ago, “Thou shalt then by no means come out until thou hast paid the last farthing” admits of a like interpretation. Is that a soul in hell filled with the hatred of God? St. Teresa says, “There is no love in hell.” And yet, this man pleads, not on his own behalf, but he says, “Please send Lazarus back to my five brothers so that they will believe in time.” Abraham says, “Even if a man came back from the dead, it wouldn’t be enough. They’ve got Moses, the law and the prophets. That’s enough.” But ironically, who did Jesus raise from the dead? A man named Lazarus. And was it enough for the Jews to believe in Jesus then? No. They not only wanted to kill Jesus, they even sought to kill Lazarus because so many people were still believing in Jesus because of him. But look at Luke 16 and realize that this man is there for neglecting the poor. He is in fire, recognizing Abraham as his father. Abraham recognizing him as my child. This man pleading for mercy in the form of a drop of water and then pleading on behalf of his brothers who were still on earth. Do souls intercede with God for mercy? Hardly. And yet look at what the story assumes. Look at what Jesus doesn’t even feel it necessary to argue. We have a rather skewed and emaciated Christianity in 20th Century America and throughout the West. No wonder we don’t have many martyrs. The faith that we have is so truncated and so lifeless in some ways; it isn’t worth dying for. Not until we realize how gloriously man-like Christ’s call to His disciples is. We’ve got to grow up, not to be babies, but sons and daughters, men and women of God filled with the life of Christ, filled to overflowing. This is an integral and vital part of our Catholic faith. We’ve got to believe it. We’ve got to live it, and we’ve got to share it. In the name of the Father and of the Son and of the Holy Spirit, we pray: Father in heaven, we need your help. We need your grace. We need a new outpouring of the Holy Spirit. Fill us Lord with this fiery love, so that we might sacrifice in ways that we have not, that we might imitate Christ with greater risk and abandon than ever before. Lord, these are awesome things that we ask for, far greater and more ambitious than we are capable on our own. Have mercy on us, here and now, on the Church Militant as we march out with our marching orders. Help us to fight the good fight. Help us to rejoice in the fiery ordeals that you send, knowing that these are the ways that you tailor us and streamline us. Oh God, you have made this world into a saint- making machine. The only tragedy, dear Lord, is for us not to have been made a saint. The world thinks that saints and martyrs are weird, but we know they are the ones who are most fully human. Humanize us with the flesh and the blood of the Eucharist, the Body and Blood of our risen Savior. Lord, help us to accept our time in this world so that we, too, might be made into saints, that we might accept a share in suffering, a share in Christ’s suffering that you call us to accept and to do so with joy and thanksgiving. Help us, dear Lord, and hear us as we pray. Our Father, who art in heaven etc. Scott Hahn “Purgatory: Holy Fire.” from Answering Common Objections St. Joseph Communications. Answering Common Objections is a five part audio series. Scott Hahn’s books, as well as his audio and video tapes — many with accompanying study guides — are avaiable from Getfed.com. Reprinted with permission of Scott Hahn. Scott Hahn is Professor of Theology and Scripture at Franciscan University of Steubenville, where he has taught since 1990, and is the founder and director of the Saint Paul Center for Biblical Theology. He is the author of many books, including Lord Have Mercy, Letter and Spirit, Understanding the Scriptures, Swear to God, Scripture Matters, Understanding Our Father, First Comes Love: Finding Your Family in the Church and the Trinity, Hail Holy Queen: The Mother of God in the Word of God, The Lamb’s Supper: The Mass as Heaven on Earth, A Father Who Keeps His Promises: God’s Covenant Love in Scripture, Rome Sweet Home: Our Journey to Catholicism, and co-editor of Catholic for a Reason: Scripture and the Mystery of the Family of God. Dr. Hahn has also written numerous articles in lay and academic publications.Scott Hahn received his Bachelor of Arts degree with a triple-major in Theology, Philosophy and Economics from Grove City College, Pennsylvania, in 1979, his Masters of Divinity from Gordon-Conwell Theological Seminary in 1982, and his Ph.D. in Biblical Theology from Marquette University in 1995. Scott has ten years of youth and pastoral ministry experience in Protestant congregations (in Pennsylvania, Ohio, Massachusetts, Kansas and Virginia) and is a former Professor of Theology at Chesapeake Theological Seminary. 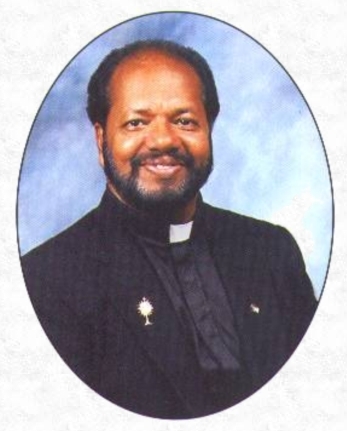 He was ordained in 1982 at Trinity Presbyterian Church in Fairfax, Virginia. He entered the Catholic Church at the Easter Vigil, 1986. Matt. 5:48 – Jesus says, “be perfect, even as your heavenly Father is perfect.” We are only made perfect through purification, and in Catholic teaching, this purification, if not completed on earth, is continued in a transitional state we call purgatory. Luke 12:47-48 – when the Master comes (at the end of time), some will receive light or heavy beatings but will live. This state is not heaven or hell, because in heaven there are no beatings, and in hell we will no longer live with the Master. Luke 16:19-31 – in this story, we see that the dead rich man is suffering but still feels compassion for his brothers and wants to warn them of his place of suffering. But there is no suffering in heaven or compassion in hell because compassion is a grace from God and those in hell are deprived from God’s graces for all eternity. So where is the rich man? He is in purgatory. 1 Cor. 15:29-30 – Paul mentions people being baptized on behalf of the dead, in the context of atoning for their sins (people are baptized on the dead’s behalf so the dead can be raised). These people cannot be in heaven because they are still with sin, but they also cannot be in hell because their sins can no longer be atoned for. They are in purgatory. These verses directly correspond to 2 Macc. 12:44-45 which also shows specific prayers for the dead, so that they may be forgiven of their sin. Phil. 2:10 – every knee bends to Jesus, in heaven, on earth, and “under the earth” which is the realm of the righteous dead, or purgatory. 2 Tim. 1:16-18 – Onesiphorus is dead but Paul asks for mercy on him “on that day.” Paul’s use of “that day” demonstrates its eschatological usage (see, for example, Rom. 2.5,16; 1 Cor. 1.8; 3.13; 5.5; 2 Cor. 1.14; Phil. 1.6,10; 2.16; 1 Thess. 5.2,4,5,8; 2 Thess. 2.2,3; 2 Tim. 4.8). Of course, there is no need for mercy in heaven, and there is no mercy given in hell. Where is Onesiphorus? He is in purgatory. Heb. 12:14 – without holiness no one will see the Lord. We need final sanctification to attain true holiness before God, and this process occurs during our lives and, if not completed during our lives, in the transitional state of purgatory. Heb. 12:23 – the spirits of just men who died in godliness are “made” perfect. They do not necessarily arrive perfect. They are made perfect after their death. But those in heaven are already perfect, and those in hell can no longer be made perfect. These spirits are in purgatory. 1 Peter 3:19; 4:6 – Jesus preached to the spirits in the “prison.” These are the righteous souls being purified for the beatific vision. Rev. 21:4 – God shall wipe away their tears, and there will be no mourning or pain, but only after the coming of the new heaven and the passing away of the current heaven and earth. Note the elimination of tears and pain only occurs at the end of time. But there is no morning or pain in heaven, and God will not wipe away their tears in hell. These are the souls experiencing purgatory. Rev. 21:27 – nothing unclean shall enter heaven. The word “unclean” comes from the Greek word “koinon” which refers to a spiritual corruption. Even the propensity to sin is spiritually corrupt, or considered unclean, and must be purified before entering heaven. It is amazing how many Protestants do not want to believe in purgatory. Purgatory exists because of the mercy of God. If there were no purgatory, this would also likely mean no salvation for most people. God is merciful indeed. Luke 23:43 – many Protestants argue that, because Jesus sent the good thief right to heaven, there can be no purgatory. There are several rebuttals. First, when Jesus uses the word “paradise,” He did not mean heaven. Paradise, from the Hebrew “sheol,” meant the realm of the righteous dead. This was the place of the dead who were destined for heaven, but who were captive until the Lord’s resurrection. Second, since there was no punctuation in the original manuscript, Jesus’ statement “I say to you today you will be with me in paradise” does not mean there was a comma after the first word “you.” This means Jesus could have said, “I say to you today, you will be with me in paradise” (meaning, Jesus could have emphasized with exclamation his statement was “today” or “now,” and that some time in the future the good thief would go to heaven). Third, even if the thief went straight to heaven, this does not prove there is no purgatory (those who are fully sanctified in this life – perhaps by a bloody and repentant death – could be ready for admission in to heaven). Gen. 50:10; Num. 20:29; Deut. 34:8 – here are some examples of ritual prayer and penitent mourning for the dead for specific periods of time. The Jewish understanding of these practices was that the prayers freed the souls from their painful state of purification, and expedited their journey to God. Baruch 3:4 – Baruch asks the Lord to hear the prayers of the dead of Israel. Prayers for the dead are unnecessary in heaven and unnecessary in hell. These dead are in purgatory. Zech. 9:11 – God, through the blood of His covenant, will set those free from the waterless pit, a spiritual abode of suffering which the Church calls purgatory. 2 Macc. 12:43-45 – the prayers for the dead help free them from sin and help them to the reward of heaven. Those in heaven have no sin, and those in hell can no longer be freed from sin. They are in purgatory. Luther was particularly troubled with these verses because he rejected the age-old teaching of purgatory. As a result, he removed Maccabees from the canon of the Bible. Heb. 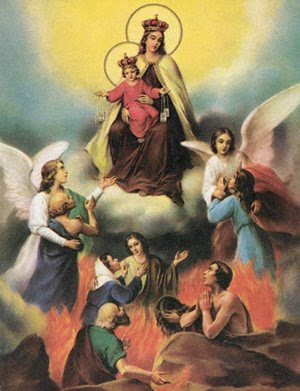 12:29 – God is a consuming fire (of love in heaven, of purgation in purgatory, or of suffering and damnation in hell). 1 Cor. 3:10-15 – works are judged after death and tested by fire. Some works are lost, but the person is still saved. Paul is referring to the state of purgation called purgatory. The venial sins (bad works) that were committed are burned up after death, but the person is still brought to salvation. This state after death cannot be heaven (no one with venial sins is present) or hell (there is no forgiveness and salvation). 1 Cor. 3:15 – “if any man’s work is burned up, he will suffer loss, though he himself will be saved, but only as through fire.” The phrase for “suffer loss” in the Greek is “zemiothesetai.” The root word is “zemioo” which also refers to punishment. The construction “zemiothesetai” is used in Ex. 21:22 and Prov. 19:19 which refers to punishment (from the Hebrew “anash” meaning “punish” or “penalty”). Hence, this verse proves that there is an expiation of temporal punishment after our death, but the person is still saved. This cannot mean heaven (there is no punishment in heaven) and this cannot mean hell (the possibility of expiation no longer exists and the person is not saved). 1 Cor. 3:15 – further, Paul writes “he himself will be saved, “but only” (or “yet so”) as through fire.” “He will be saved” in the Greek is “sothesetai” (which means eternal salvation). The phrase “but only” (or “yet so”) in the Greek is “houtos” which means “in the same manner.” This means that man is both eternally rewarded and eternally saved in the same manner by fire. 1 Cor. 3:13 – when Paul writes about God revealing the quality of each man’s work by fire and purifying him, this purification relates to his sins (not just his good works). Protestants, in attempting to disprove the reality of purgatory, argue that Paul was only writing about rewarding good works, and not punishing sins (because punishing and purifying a man from sins would be admitting that there is a purgatory). 1 Cor. 3:17 – but this verse proves that the purgation after death deals with punishing sin. That is, destroying God’s temple is a bad work, which is a mortal sin, which leads to death. 1 Cor. 3:14,15,17 – purgatory thus reveals the state of righteousness (v.14), state of venial sin (v.15) and the state of mortal sin (v.17), all of which are judged after death. 1 Peter 1:6-7 – Peter refers to this purgatorial fire to test the fruits of our faith. Jude 1:23 – the people who are saved are being snatched out of the fire. People are already saved if they are in heaven, and there is no possibility of salvation if they are in hell. These people are being led to heaven from purgatory. Rev. 3:18-19 – Jesus refers to this fire as what refines into gold those He loves if they repent of their sins. This is in the context of after death because Jesus, speaking from heaven, awards the white garment of salvation after the purgation of fire (both after death). Dan 12:10 – Daniel refers to this refining by saying many shall purify themselves, make themselves white and be refined. Wis. 3:5-6 – the dead are disciplined and tested by fire to receive their heavenly reward. This is the fire of purgatory. Sirach 2:5 – for gold is tested in the fire, and acceptable men in the furnace of humiliation. Zech. 13:8-9 – God says 2/3 shall perish, and 1/3 shall be left alive, put into the fire, and refined like silver and tested like gold. The ones that perish go to hell, and there is no need for refinement in heaven, so those being refined are in purgatory. Mal. 3:2-3 – also refers to God’s purification of the righteous at their death. “And after the exhibition, Tryphaena again receives her. For her daughter Falconilla had died, and said to her in a dream: Mother, thou shaft have this stranger Thecla in my place, in order that she may pray concerning me, and that I may be transferred to the place of the just.” Acts of Paul and Thecla (A.D. 160). “Abercius by name, I am a disciple of the chaste shepherd…He taught me…faithful writings…These words, I, Abercius, standing by, ordered to be inscribed. In truth, I was in the course of my seventy-second year. Let him who understands and believes this pray fro Abercius.” Inscription of Abercius (A.D. 190). “Without delay, on that very night, this was shown to me in a vision. I saw Dinocrates going out from a gloomy place, where also there were several others, and he was parched and very thirsty, with a filthy countenance and pallid colour, and the wound on his face which he had when he died. This Dinocrates had been my brother after the flesh, seven years of age? Who died miserably with disease…But I trusted that my prayer would bring help to his suffering; and I prayed for him every day until we passed over into the prison of the camp, for we were to fight in the camp-show. Then was the birth-day of Gets Caesar, and I made my prayer for my brother day and night, groaning and weeping that he might be granted to me. Then, on the day on which we remained in fetters, this was shown to me. I saw that that place which I had formerly observed to be in gloom was now bright; and Dinocrates, with a clean body well clad, was finding refreshment. And where there had been a wound, I saw a scar; and that pool which I had before seen, I saw now with its margin lowered even to the boy’s navel. And one drew water from the pool incessantly, and upon its brink was a goblet filled with water; and Dinocrates drew near and began to drink from it, and the goblet did not fail. And when he was satisfied, he went away from the water to play joyously, after the manner of children, and I awoke. Then I understood that he was translated from the place of punishment.” The Passion of Perpetua and Felicitias, 2:3-4 (A.D. 202). “Accordingly the believer, through great discipline, divesting himself of the passions, passes to the mansion which is better than the former one, viz., to the greatest torment, taking with him the characteristic of repentance from the sins he has committed after baptism. He is tortured then still more–not yet or not quite attaining what he sees others to have acquired. Besides, he is also ashamed of his transgressions. The greatest torments, indeed, are assigned to the believer. For God’s righteousness is good, and His goodness is righteous. And though the punishments cease in the course of the completion of the expiation and purification of each one, yet those have very great and permanent grief who are found worthy of the other fold, on account of not being along with those that have been glorified through righteousness.” Clement of Alexandria, Stromata, 6:14 (post A.D. 202). “[T]hat allegory of the Lord which is extremely clear and simple in its meaning, and ought to be from the first understood in its plain and natural sense…Then, again, should you be disposed to apply the term ‘adversary’ to the devil, you are advised by the (Lord’s) injunction, while you are in the way with him, ‘to make even with him such a compact as may be deemed compatible with the requirements of your true faith. Now the compact you have made respecting him is to renounce him, and his pomp, and his angels. Such is your agreement in this matter. Now the friendly understanding you will have to carry out must arise from your observance of the compact: you must never think of getting back any of the things which you have abjured, and have restored to him, lest he should summon you as a fraudulent man, and a transgressor of your agreement, before God the Judge (for in this light do we read of him, in another passage, as ‘the accuser of the brethren,’ or saints, where reference is made to the actual practice of legal prosecution); and lest this Judge deliver you over to the angel who is to execute the sentence, and he commit you to the prison of hell, out of which there will be no dismissal until the smallest even of your delinquencies be paid off in the period before the resurrection. What can be a more fitting sense than this? What a truer interpretation?” Tertullian, A Treatise on the Soul, 35 (A.D. 210). “All souls, therefore; are shut up within Hades: do you admit this? It is true, whether you say yes or no: moreover, there are already experienced there punishments and consolations; and there you have a poor man and a rich…Moreover, the soul executes not all its operations with the ministration of the flesh; for the judgment of God pursues even simple cogitations and the merest volitions. ‘Whosoever looketh on a woman to lust after her, hath committed adultery with her already in his heart.’ Therefore, even for this cause it is most fitting that the soul, without at all waiting for the flesh, should be punished for what it has done without the partnership of the flesh. So, on the same principle, in return for the pious and kindly thoughts in which it shared not the help of the flesh, shall it without the flesh receive its consolation. In short, inasmuch as we understand ‘the prison’ pointed out in the Gospel to be Hades, and as we also interpret ‘the uttermost farthing’ to mean the very smallest offence which has to be recompensed there before the resurrection, no one will hesitate to believe that the soul undergoes in Hades some compensatory discipline, without prejudice to the full process of the resurrection, when the recompense will be administered through the flesh besides.” Tertullian, A Treatise on the Soul, 58 (A.D. 210). “As often as the anniversary comes round, we make offerings for the dead as birthday honours.” Tertullian, The Chaplut, 3 (A.D. 211). “[A] woman is more bound when her husband is dead…Indeed, she prays for his soul, and requests refreshment for him meanwhile, and fellowship (with him) in the first resurrection; and she offers (her sacrifice) on the anniversary of his falling asleep.” Tertullian, On Monogamy, 10 (A.D. 216). “For if on the foundation of Christ you have built not only gold and silver and precious stones (1 Cor.,3); but also wood and hay and stubble, what do you expect when the soul shall be separated from the body? Would you enter into heaven with your wood and hay and stubble and thus defile the kingdom of God; or on account of these hindrances would you remain without and receive no reward for your gold and silver and precious stones; neither is this just. It remains then that you be committed to the fire which will burn the light materials; for our God to those who can comprehend heavenly things is called a cleansing fire. But this fire consumes not the creature, but what the creature has himself built, wood, and hay and stubble. It is manifest that the fire destroys the wood of our transgressions and then returns to us the reward of our great works.” Origen, Homilies on Jeremias, PG 13:445, 448 ( A.D. 244). “For to adulterers even a time of repentance is granted by us, and peace is given. Yet virginity is not therefore deficient in the Church, nor does the glorious design of continence languish through the sins of others. The Church, crowned with so many virgins, flourishes; and chastity and modesty preserve the tenor of their glory. Nor is the vigour of continence broken down because repentance and pardon are facilitated to the adulterer. It is one thing to stand for pardon, another thing to attain to glory: it is one thing, when cast into prison, not to go out thence until one has paid the uttermost farthing; another thing at once to receive the wages of faith and courage. It is one thing, tortured by long suffering for sins, to be cleansed and long purged by fire; another to have purged all sins by suffering. It is one thing, in fine, to be in suspense till the sentence of God at the day of judgment; another to be at once crowned by the Lord.” Cyprian, To Antonianus, Epistle 51 (55):20 (A.D. 253). “Let us pray for our brethren that are at rest in Christ, that God, the lover of mankind, who has received his soul, may forgive him every sin, voluntary and involuntary, and may be merciful and gracious to him, and give him his lot in the land of the pious that are sent into the bosom of Abraham, and Isaac, and Jacob, with all those that have pleased Him and done His will from the beginning of the world, whence all sorrow, grief, and lamentation are banished.” Apostolic Constitutions, 8:4,41 (3rd Century). “The same divine fire, therefore, with one and the same force and power, will both burn the wicked and will form them again, and will replace as much as it shall consume of their bodies, and will supply itself with eternal nourishment: which the poets transferred to the vulture of Tityus. Thus, without any wasting of bodies, which regain their substance, it will only burn and affect them with a sense of pain. But when He shall have judged the righteous, He will also try them with fire. Then they whose sins shall exceed either in weight or in number, shall be scorched by the fire and burnt: but they whom full justice and maturity of virtue has imbued will not perceive that fire; for they have something of God in themselves which repels and rejects the violence of the flame.” Lactantius, The Divine Institutes, 7:21 (A.D. 307). “Then we commemorate also those who have fallen asleep before us, first Patriarchs, Prophets, Apostles, Martyrs, that at their prayers and intercessions God would receive our petition. Then on behalf also of the Holy Fathers and Bishops who have fallen asleep before us, and in a word of all who in past years have fallen asleep among us, believing that it will be a very great benefit to the souls, for whom the supplication is put up, while that holy and most awful sacrifice is set forth. And I wish to persuade you by an illustration. For I know that many say, what is a soul profited, which departs from this world either with sins, or without sins, if it be commemorated in the prayer? For if a king were to banish certain who had given him of-fence, and then those who belong to them should weave a crown and offer it to him on behalf of those under punishment, would he not grant a remission of their penalties? In the same way we, when we offer to Him our supplications for those who have fallen asleep, though they be sinners, weave no crown, but offer up Christ sacrificed for our sins, propitiating our merciful God for them as well as for ourselves.” Cyril of Jerusalem, Catechetical Lectures, 23:9,10 (c. A.D. 350). “I think that the noble athletes of God, who have wrestled all their lives with the invisible enemies, after they have escaped all of their persecutions and have come to the end of life, are examined by the prince of this world; and if they are found to have any wounds from their wrestling, any stains or effects of sin, they are detained. If, however they are found unwounded and without stain, they are, as unconquered, brought by Christ into their rest.” Basil, Homilies on the Psalms, 7:2 (ante A.D. 370). “Lay me not with sweet spices: for this honour avails me not; Nor yet incense and perfumes: for the honour benefits me not. Burn sweet spices in the Holy Place: and me, even me, conduct to the grave with prayer. Give ye incense to God: and over me send up hymns. Instead of perfumes of spices: in prayer make remembrance of me.” Ephraem, His Testament (ante A.D. 373). “Useful too is the prayer fashioned on their [the dead’s] behalf…it is useful, because in this world we often stumble either voluntarily or involuntarily.” Epiphanius, Panarion, 75:8 (A.D. 375). “When he has quitted his body and the difference between virtue and vice is known he cannot approach God till the purging fire shall have cleansed the stains with which his soul was infested. That same fire in others will cancel the corruption of matter, and the propensity to evil.” Gregory of Nyssa, Sermon on the Dead, PG 13:445,448 (ante A.D. 394). “Give, Oh Lord, rest to Thy servant Theodosius, that rest Thou hast prepared for Thy saints….I love him, therefore will I follow him to the land of the living; I will not leave him till by my prayers and lamentations he shall be admitted unto the holy mount of the Lord,to which his deserts call him.” Ambrose, De obitu Theodosii, PL 16:1397 (A.D. 395). “Other husbands scatter on the graves of their wives violets, roses, lilies, and purple flowers; and assuage the grief of their hearts by fulfilling this tender duty. Our dear Pammachius also waters the holy ashes and the revered bones of Paulina, but it is with the balm of almsgiving.” Jerome, To Pammachius, Epistle 66:5 (A.D. 397). “Weep for the unbelievers; weep for those who differ in nowise from them, those who depart hence without the illumination, without the seal! They indeed deserve our wailing, they deserve our groans; they are outside the Palace, with the culprits, with the condemned: for, “Verily I say unto you, Except a man be born of water and the Spirit, he shall not enter into the kingdom of Heaven.” Mourn for those who have died in wealth, and did not from their wealth think of any solace for their soul, who had power to wash away their sins and would not. Let us all weep for these in private and in public, but with propriety, with gravity, not so as to make exhibitions of ourselves; let us weep for these, not one day, or two, but all our life. Such tears spring not from senseless passion, but from true affection. The other sort are of senseless passion. For this cause they are quickly quenched, whereas if they spring from the fear of God, they always abide with us. Let us weep for these; let us assist them according to our power; let us think of some assistance for them, small though it be, yet still let us assist them. How and in what way? By praying and entreating others to make prayers for them, by continually giving to the poor on their behalf.” John Chrysostom, Homilies on Phillipians, 3 (ante A.D. 404). “If the baptized person fulfills the obligations demanded of a Christian, he does well. If he does not–provided he keeps the faith, without which he would perish forever–no matter in what sin or impurity remains, he will be saved, as it were, by fire; as one who has built on the foundation, which is Christ, not gold, silver, and precious stones, but wood, hay straw, that is, not just and chasted works but wicked and unchaste works.” Augustine, Faith and Works, 1:1 (A.D. 413). “Now on what ground does this person pray that he may not be ‘rebuked in indignation, nor chastened in hot displeasure”? He speaks as if he would say unto God, ‘Since the things which I already suffer are many in number, I pray Thee let them suffice;’ and he begins to enumerate them, by way of satisfying God; offering what he suffers now, that he may not have to suffer worse evils hereafter.” Augustine, Exposition of the Psalms, 38(37):3 (A.D. 418). “And it is not impossible that something of the same kind may take place even after this life. It is a matter that may be inquired into, and either ascertained or left doubtful, whether some believers shall pass through a kind of purgatorial fire, and in proportion as they have loved with more or less devotion the goods that perish, be less or more quickly delivered from it. This cannot, however, be the case of any of those of whom it is said, that they ‘shall not inherit the kingdom of God,’ unless after suitable repentance their sins be forgiven them. When I say ‘suitable,’ I mean that they are not to be unfruitful in almsgiving; for Holy Scripture lays so much stress on this virtue, that our Lord tells us beforehand, that He will ascribe no merit to those on His right hand but that they abound in it, and no defect to those on His left hand but their want of it, when He shall say to the former, “Come, ye blessed of my Father, inherit the kingdom,” and to the latter, ‘Depart from me, ye cursed, into everlasting fire. '” Augustine, Enchiridion, 69 (A.D. 421). “During the time, moreover, which intervenes between a man’s death and the final resurrection, the soul dwells in a hidden retreat, where it enjoys rest or suffers affliction just in proportion to the merit it has earned by the life which it led on earth.” Augustine, Enchiridion, 1099 (A.D. 421). “For our part, we recognize that even in this life some punishments are purgatorial,–not, indeed, to those whose life is none the better, but rather the worse for them, but to those who are constrained by them to amend their life. All other punishments, whether temporal or eternal, inflicted as they are on every one by divine providence, are sent either on account of past sins, or of sins presently allowed in the life, or to exercise and reveal a man’s graces. They may be inflicted by the instrumentality of bad men and angels as well as of the good. For even if any one suffers some hurt through another’s wickedness or mistake, the man indeed sins whose ignorance or injustice does the harm; but God, who by His just though hidden judgment permits it to be done, sins not. But temporary punishments are suffered by some in this life only, by others after death, by others both now and then; but all of them before that last and strictest judgment. But of those who suffer temporary punishments after death, all are not doomed to those everlasting pains which are to follow that judgment; for to some, as we have already said, what is not remitted in this world is remitted in the next, that is, they are not punished with the eternal punishment of the world to come.” Augustine, City of God, 21:13 (A.D. 426). “But since she has this certainty regarding no man, she prays for all her enemies who yet live in this world; and yet she is not heard in behalf of all. But she is heard in the case of those only who, though they oppose the Church, are yet predestinated to become her sons through her intercession…For some of the dead, indeed, the prayer of the Church or of pious individuals is heard; but it is for those who, having been regenerated in Christ, did not spend their life so wickedly that they can be judged unworthy of such compassion, nor so well that they can be considered to have no need of it. As also, after the resurrection, there will be some of the dead to whom, after they have endured the pains proper to the spirits of the dead, mercy shall be accorded, and acquittal from the punishment of the eternal fire. For were there not some whose sins, though not remitted in this life, shall be remitted in that which is to come, it could not be truly said, “They shall not be forgiven, neither in this world, neither in that which is to come.’ But when the Judge of quick and dead has said, ‘Come, ye blessed of my Father, inherit the kingdom prepared for you from the foundation of the world,’ and to those on the other side, ‘Depart from me, ye cursed, into the eternal fire, which is prepared for the devil and his angels,’ and ‘These shall go away into eternal punishment, but the righteous into eternal life,’ it were excessively presumptuous to say that the punishment of any of those whom God has said shall go away into eternal punishment shall not be eternal, and so bring either despair or doubt upon the corresponding promise of life eternal.” Augustine, City of God,2 1:24 (A.D. 426). “If we neither give thanks to God in tribulations nor redeem our own sins by good works, we shall have to remain in that purgatorian fire as long as it takes for those above-mentioned lesser sins to be consumed like wood and straw and hay.” Ceasar of Arles, Sermon 179 (104):2 (A.D. 542). “Each one will be presented to the Judge exactly as he was when he departed this life. Yet, there must be a cleansing fire before judgment, because of some minor faults that may remain to be purged away. Does not Christ, the Truth, say that if anyone blasphemes against the Holy Spirit he shall not be forgiven ‘either in this world or in the world to come'(Mt. 12:32)? From this statement we learn that some sins can be forgiven in this world and some in the world to come. For, if forgiveness is refused for a particular sin, we conclude logically that it is granted for others. This must apply, as I said, to slight transgressions.” Gregory the Great [regn. A.D. 590-604], Dialogues, 4:39 (A.D. 594). Copyright 2001 – 2007 © by John Salza. All Rights Reserved.